Give tired strands a little R&R to restore them to their former glory with this full haircare repair routine. From intensely nourishing shampoo and conditioner that helps revitalise strands, to a hair growth serum that stimulates hair follicles and kick-starts your journey to dream hair. Rejuvenate broken, heat damaged or bleached hair with this cleansing and hydrating shampoo. Enriched with a unique formula of Amino Acids, Sea Satin, Keratrix. Bamboo Extract and Vitamins B and E, it works to gently and effectively purify and restore strands leaving hair feeling nourished and strong. 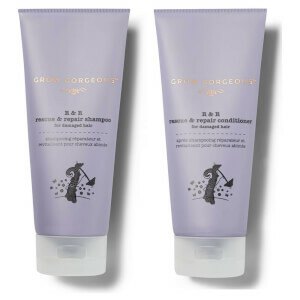 Nourish, restore and strengthen overworked locks with our repairing conditioner. 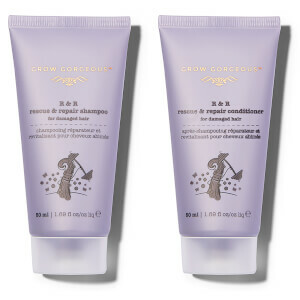 The R&R Conditioner is specially formulated with a unique blend of Murumuru and Cupuassu Butters, Amino Acids, Sea Satin, Keratrix, Bamboo Extract and Vitamins B and E. Providing hair with the essential nutrients it’s been pining for helps to replenish shine and reinforce hair fibres, increasing hair’s resilience to breakage.